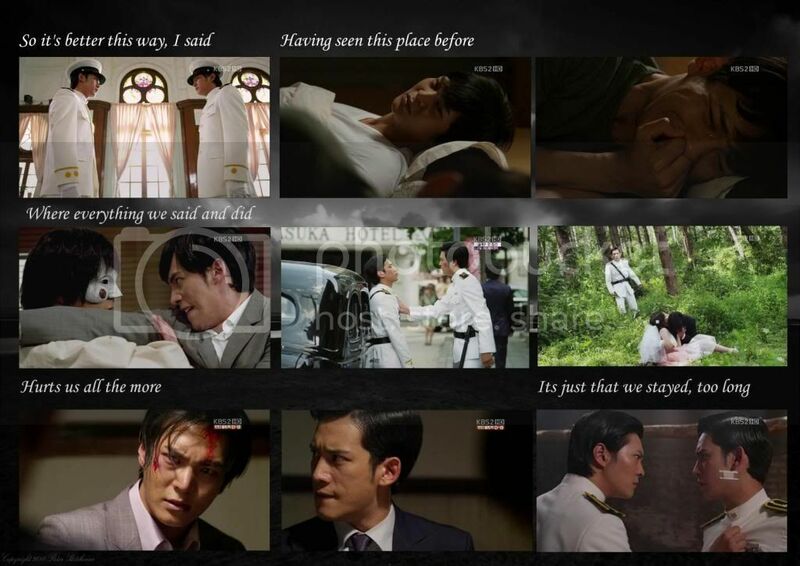 it was definitely kang to and shunji's friendship that stole my heart in bridal mask. it just kills me how at certain moment they flash back to earlier days of sweet camaraderie and mutual understanding. those moments in light of all the betrayals and fighting just stabs deeply. here is a small tribute to ease the pain. This was really one of the best K dramas I watched this year. Kept me engaged. @valinor500 - i'm sooo jealous! my copy is on its way. gah so gorgeous! esp love the one of him galloping on horsital. :x class="H"
this thread is gonna be a comfort blanket to ease the pain of his new drama. Any Kimura Kenji (Park Joo-hyung) fans? 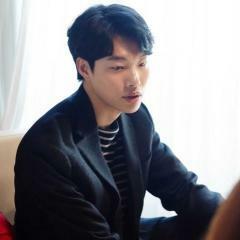 He just signed a contract with JYP Entertainment and will be appearing in Jeon Woo Chi with Joo Won's co-star in 1N2D, Cha Tae Hyun, and his co-star in OB, Uee. @valinor500, that's so awesome to hear you got your OST. I listen to my OST too now in my car. My favorite song is Goodbye Day right now. ^^ I love track 14 & 15 also. And I listen to Joo Won's Love & Love from time to time. @sunshine4ever, thx for your insight. The review from dramabeans really got me curious about the real reason behind the name changing. And from the behaviour of Baek Gun towards KangTo, it really strongly indicates that KT's family has a royal blood. BG's attitude is very polite for a usual servant, and he respects KT very much. He is like batman's Alfred, a servant from a high-society family. @endevour,I like PKW! He is gonna join Jeon Woo Chi?? Really?? I'm really anticipating the movie. Actually I like it bcoz I like Kang Dong Won in the previous version . I dont really like the story, but I like KDW. And I think the story has a lot potential to become great. It would be great if Joo Won was the one who became Jeon Woo Chi coz he looked like KDW, but CTH seemed to be interesting. @mojobobo,@sunshine4ever, well..Shunji's brother is okay, though.. It's gonna be fun hating him again . It's hard for me to hate any character in BM, including th villain. So far, I only hate Kenji and Taro. Koisho is so annoying..but I still have a soft spot for him, considering how nice he is to Shunji. mojobobo said: @rhaps, PKW is doing a moive with Lee Hyun Woo and Kim Soo Hyun. They started filming today! His hair is orange now!! I miss Shunji's hair (He was playing basketball with some friends recently: credit as tagged and Times Infinity Park Ki Woong Baidu tieba At the rate of how often he's colored his hair I would not be surprise seeing a completely shaved PKW soon. Well...at least he looks better here than with blonde hair. LOL! @endeavor, the shaved hair will come soon when he goes for army hahaha!!! He will probably have to enlist within 2 years. His hair is probably very very dry now. Still no news of director cut DVDs??? poor joo won baby getting whacked by veggies endlessly and then eating dirt at the end. 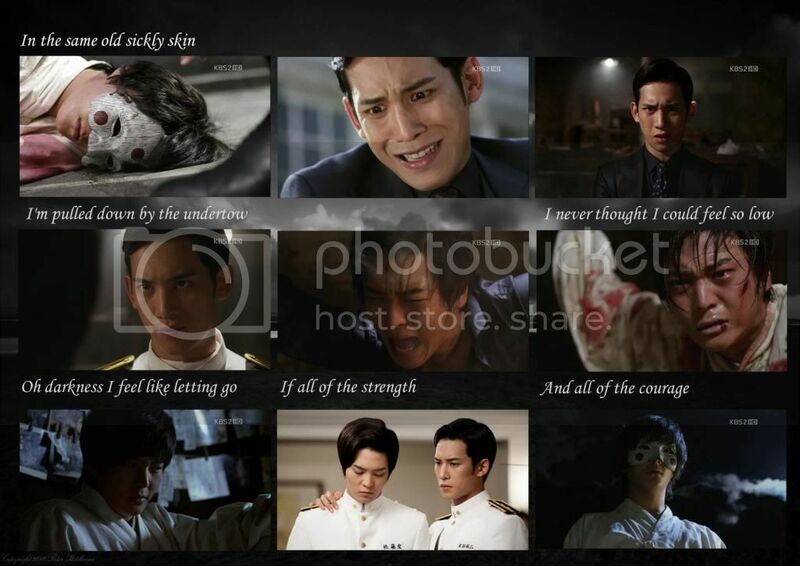 This is an MV of Bridal Mask. It has spoilers from epi 1-28.